A local icon around Orlando. 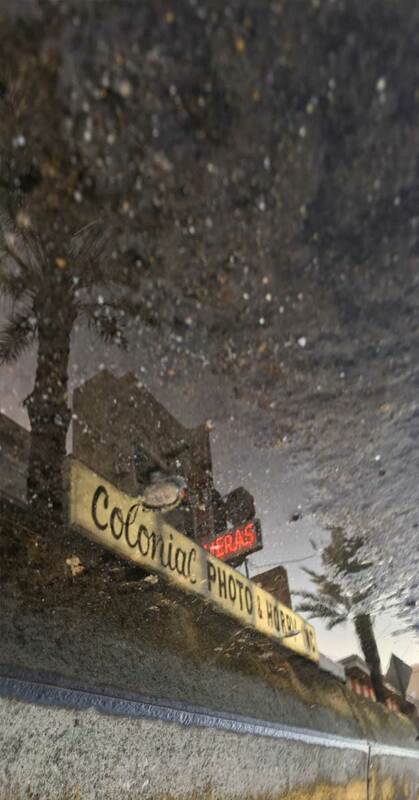 This store marquee reflects from a puddle on the curb of the street. The setting sun created a well lit back drop. I had to time my photos with traffic so I could get this great angle.